When most people hear the words blue algae, they immediately think of some kind of a plant. Blue-green algae are actually microscopic organisms. This type of algae can be found growing just about everywhere, as it can be found in backyard ponds, freshwater lakes and streams, marine water, and even brackish water, which is a combination of salt and freshwater. Here at Millhopper Veterinary Medical Center in Gainesville, FL we are warning local residents to keep their dogs away from blue-green algae, as it is toxic to canines. 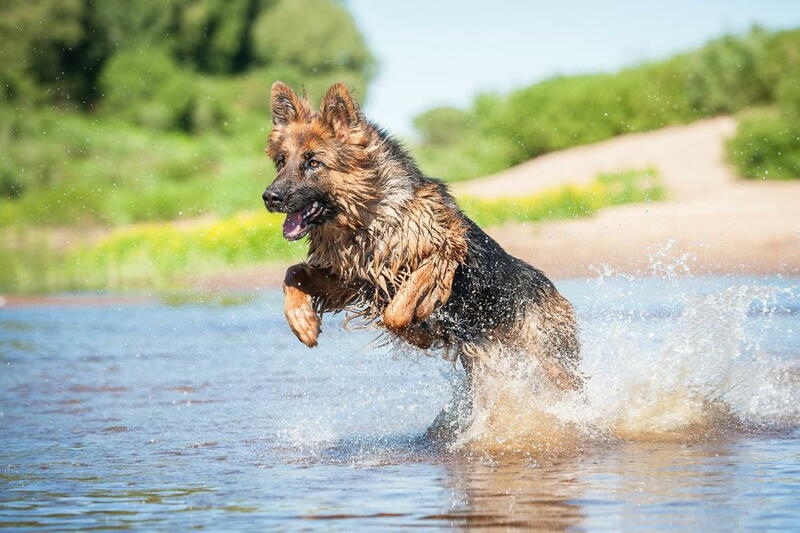 It is important for people to take note, that testing to determine if a dog has been exposed to blue-green algae is not always readily available. In fact, many veterinarians do not have access to testing mechanisms. The other important thing for pet owners to understand is that there is no antidote for blue-green algae poisoning. Once an animal has been exposed, its effects progress quickly. If you are not familiar with a body of water you should not expose your dog to it until you have checked the swimming advisories in your municipality and state to see if there are ant blue-green algae warnings. People should not assume that just because a body of water looks safe that it is, as even a veterinarian trained in toxicology would have difficulties trying to determine if a body of water is safe just by looking at it. The experienced team of professionals here at Mill Hopper Veterinary Medical Center here in Gainesville, veterinarian team has taken care of the area’s pets since 1977. Call our office today at 352-373-8055 to see how we can help keep your dog healthy and happy.